Under the 1950 Allotment Act, the keeping of hens and rabbits is permitted on allotments and viewed as an allotment holder’s right, so long as they are for the tenants own use and not for business or profit. However please do check your tenancy agreement first, as in some circumstances your landlord may have included a clause relating to the keeping of animals, especially if they are a private landlord, for example a farmer. The keeping of bees, pigs, goats and other livestock is subject to the landlord’s permission - please check your tenancy agreement. If any animal on an allotment is deemed a nuisance, health hazard or their well-being is affected then they can be removed. All livestock is subject to strict welfare codes enforced by the RSPCA and DEFRA and covered by the Animal Welfare Act. The Act states that all animals have basic needs that must be fulfilled by their owner or keeper. Click on the link to download a leaflet produced by the RSPCA Welfare of animals on allotments this guidance contains information about the specific needs of different species. When referring to hens, the law means the female of the species and excludes cockerels. Often cockerels are covered by local by-laws, excluding them from allotments because of the noise they make – if you are in any doubt please seek guidance from your landlord or local authority. We would recommend any tenant who is considering keeping hens, keeps no more than is needed for their own personal use. As a guide, a point-of-lay hen might lay up to five eggs in any week, so the average family would require no more than 2 or 3 hens. 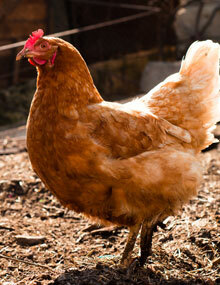 You will also need to ask your landlord and local authority about the hen-keeping policy on the site. DEFRA regulations stipulate that any flock of 50 hens or above must be registered with them. However please remember hens cannot be kept for commercial gain.